The Leukotriene C4 kit is designed for the accurate quantification of LTC4. LTC4 is a major leukotriene product that is enzymatically derived from the arachidonic acid cascade. Leukotriene synthesis operates via the 5-lipoxygenase (5-LO) pathway in which 5-LO converts arachidonic acid into LTA4 with 5(S)-HpETE as an intermediate. The conjugation of glutathione to LTA4 results in the formation of LTC4, which is then rapidly metabolized to LTD4 and LTE4. LTC4 has been described as a potent mediator of inflammatory diseases and immunoregulation. The LTC4 kit enables the monitoring of LTC4 produced by cells and can be used to study the LTC4-hydrolase. 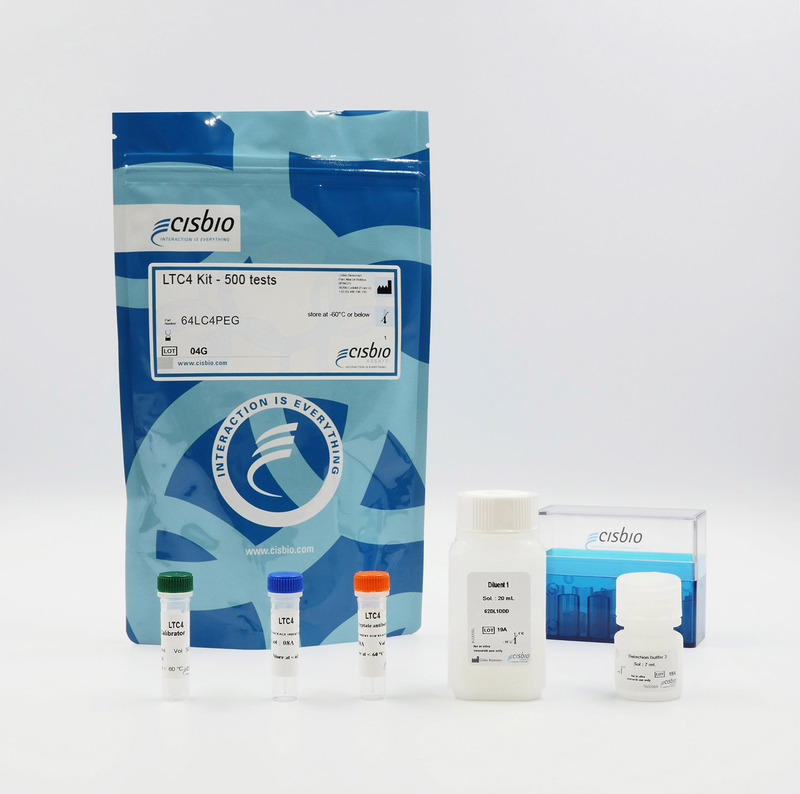 The LTC4 kit is a competitive immunoassay for the measurement of LTC4 in a range of biological formats. The assay uses an Eu3+-Cryptate conjugated antibody specific to LTC4 and XL665 coupled LTC4. LTC4 contained in the sample competes with XL665-labelled LTC4 for binding to anti-LTC4 Eu Cryptate. The LTC4 assay features a streamlined protocol with only 1 incubation step after sample and LTC4 detection reagents dispensing. This protocol requires a single two-hour incubation period at RT.